Business, the professions, influence the universities. Stanley’s standards. The Medical Faculty and the Public Health Clinic. Angus L. Macdonald, Dalhousie law professor, premier of Nova Scotia. The 1935 Dalhousie Act. Stanley deposes the registrar. Dalhousie students as middle-class survivors. European affairs impinge on Dalhousie. Death of MacKenzie. "By the mid-1950s every college and university, in or out of Nova Scotia, was at grips with a problem that bore in upon them with pressure inexorable: the increasingly commercial test of old and tried intellectual values. Commerce cared little for Coleridge or Kant, and what was irrelevant to commerce and business began, increasingly, to seem to be so elsewhere. Thus the intellectual values of western culture came under attack, and in an insidious form, by being made to seem unimportant to life, living, and progress. "Archibald MacMechan would have agreed. 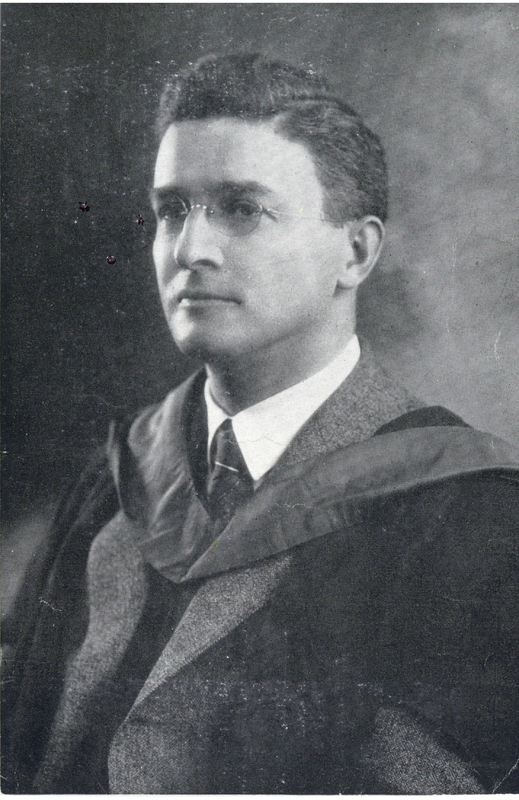 He pointed out in the midst of Dalhousie’s Million Dollar campaign of 1920 that the university’s growth was owing to the accretion of professional schools; while these were important even essential acquisitions, there had been 'no corresponding growth in the original Arts departments, which gave Dalhousie her standards and her reputation.' A university of seven hundred students in 1920 with one solitary professor of history, one of modern languages, and one in mathematics, was starved. There was some improvement in the 1920s with modest reinforcement from King’s in 1923, but the point was more relevant in 1930, with Dalhousie’s registration running high (838 in 1928-9) and going higher (902 in 1929-30). "President MacKenzie, scientist that he was, effortlessly made room at Dalhousie for Medicine and Dentistry, and found no intellectual difficulties in doing so. His problems were financial, and institutional, in getting Dalhousie’s research criteria accepted by a conservative medical community. Atlee’s appointment was a good example. Some of MacKenzie’s fellow scientists thought the new sciences in medicine were not very good science, and were being built up at the cost of more worthy research. Humanities professors such as Carleton Stanley would find it still more difficult to appreciate the needs of medicine. Stanley was interested in science, especially biology. One of his more quixotic academic adventures was trying to establish an honours course in Greek and biology; the students would read Aristotle’s science in Greek, and slowly work their way to the present day. The biologists managed to defeat it. A proper science course could not be built around the history of science; it had to be done around modern research, techniques, apparatus, and outlook. MacKenzie, who had in his time been well out on the cutting edge of physics research, knew that; Carleton Stanley didn’t..."